Birmingham Conservation Trust is a charity which is governed by a board of up to thirteen Trustee Directors. 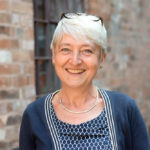 Christine was born and bred in Birmingham, and since retiring from Toye & Co, one of the oldest and largest manufacturers in the Jewellery Quarter where she was the Design and Marketing Manager, she continues to love the city’s industrial history and more specifically, the JQ, and has been a volunteer tour guide at the Coffin Works since it opened in 2014. Christine is a Trustee, and Past Chairman, of the Birmingham Civic Society and a Governor of Chandos Primary School in Highgate. During 2014-2015 she was a member of Birmingham Cathedral’s Tercentenary Committee, leading on its Heritage strand. Kenneth is a chartered architect and accredited conservation architect. 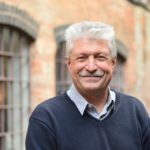 He is a director of Apec Architects Limited a Birmingham firm with more than forty years experience in conservation and community architecture. Projects of particular local significance have been St Martin’s in the Bull Ring and the BBC 2 Restoration Project at Kings Norton. 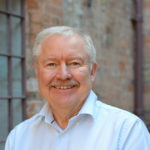 Kenneth has been President of the Birmingham Architectural Association, Chairman of the RIBA, West Midlands Region and a member of the Birmingham Conservation Areas Advisory Committee. Having lived most of his life in Birmingham, Kenneth has a deep-rooted love of his home city and the wonderful old buildings that tell of its history and the people for which they were built. Bringing redundant buildings back to life by sensitive intervention, sustainable uses and appropriate interpretation has been a driving force throughout Kenneth’s career, and he believes that this experience will both benefit and complement the mission of the Birmingham Conservation Trust. Richard’s love of architecture started as a small child and led him to study at the Birmingham School of Architecture. After becoming a fully qualified architect, Richard joined Associated Architects where he worked as Project Architect on the restoration of most of the west side of Malt Mill Lane, Alcester. This was a 20 year project which involved saving half a dozen 15th century timber frame buildings as well as many 18th and 19th century ones from years of neglect. For two years in the mid 1980s, he ran the practice’s Cyrpus office providing good design and project delivery services primarily to the British Armed Forces. During the 1990s, Richard ran his own practice which allowed him to understand the many practical and commercial issues involving the conservation of built heritage. In 2007 he joined Broadway Malyan and was made an Associate in 2011. Jack is a heritage consultant based in Birmingham but operating across the United Kingdom. 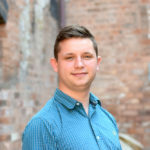 Working for Locus Consulting, Jack engages with stakeholders across the private and public sectors in support of positive approaches to managing the historic environment. He is fortunate to have gained experience in a diversity of projects, including developments ranging in scale from individual listed buildings through to major housing schemes, and the delivery of flagship projects for both national and local government organisations. In late 2018 he fulfilled a long-standing ambition to set up shop in the Jewellery Quarter, leading Locus Consulting’s expansion across Birmingham and the West Midlands. The company is proud to call the Coffin Works “home”, as one of its newest tenants. With a Master’s Degree in Community Development and Nonprofit Leadership, Nicole has helped raise funds and set the strategic priorities of a wide variety of organisations in the United States. Passionate about improving lives at an individual and community level, Nicole focused her professional career within health and social services. 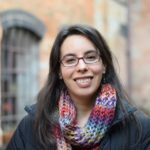 In 2014, Nicole moved from Portland, Oregon to the West Midlands and continued her career in the arts and heritage sector. She is now Head of Development for Birmingham Contemporary Music Group and is enjoying getting to know Birmingham and all it has to offer. After work, she is an avid supporter of arts and culture, with a keen interest in the story of the people and places of our past. Seb is an arts marketer who made Birmingham his home in 2013. 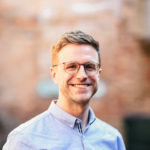 Now the Marketing Manager for Birmingham Contemporary Music Group, he has held roles at the City of Birmingham Symphony Orchestra, City of London Sinfonia and Royal Philhamonic Orchestra. He has always had a passion for heritage and the architectural past, the way it has shaped communities and their stories. Gurminder Kenth is an experienced museum professional who has worked in heritage for 16 years, working in Birmingham’s cultural organisations from the Ikon Gallery to Aston Hall and currently working as Museum Manager at Birmingham Museum & Art Gallery. She has worked in roles from front of house to exhibitions, project management to people management with operations being at the forefront; bringing a wide ranging experience to the Trustee role. 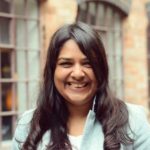 Gurminder also has national expertise to draw on, having attended the Clore Short Course, is a member of the Museums Association, the Colmore Bid Outstanding Places Working Group and the Women Leaders’ network. Gurminder has a long term interest in profiling the heritage of Birmingham and the Midlands, bringing it to a wider prominence and is looking forward to working with the Trustees in ensuring the advocacy of the city. Elizabeth has over 30 years’ experience of working in heritage, starting at the Society for the Protection of Ancient Buildings. After as a spell as an Inspector of Historic Buildings for an earlier manifestation of Historic England, she moved into heritage project management where she has worked for the last 15 years tackling historic building at risk projects. 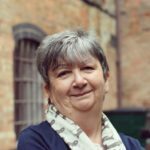 Working as Director of Birmingham Conservation Trust, she was responsible for the Back to Backs project, now run by the National Trust, and for the Coffin Works project; both multi award winning projects. Since leaving the Trust she has worked on the Ditherington Flax Mill project (securing £23m in funding for the repairs to the building), at Hartlebury Castle BPT (£5m HLF bid), led a partnership project in Birmingham for the National Trust and Canal and River Trust and managed the transition of UK Association of Preservation Trusts into Heritage Trust Network. She currently works for the Architectural Heritage Fund as their Support Officer for the Midlands.